simplify Your morning, save money, and Feel confident in everything you own. 4 Reasons to Try it. We consume 400% more clothing than we did 20 years ago. Focus on buying quality, instead of quantity. You'll have a versatile wardrobe that lasts and save an enormous amount of time and money. The 15x30 Micro-Wardrobe Challenge aims to reduce our dependence on fast-fashion, by showing how to create a simple and versatile capsule wardrobe using only 15 clothing items (including shoes!!!) for 30 days. check out real reactions to the 15X30 Challenge. You don't have to rely on 15 pieces for the rest of your life - unless you want to. 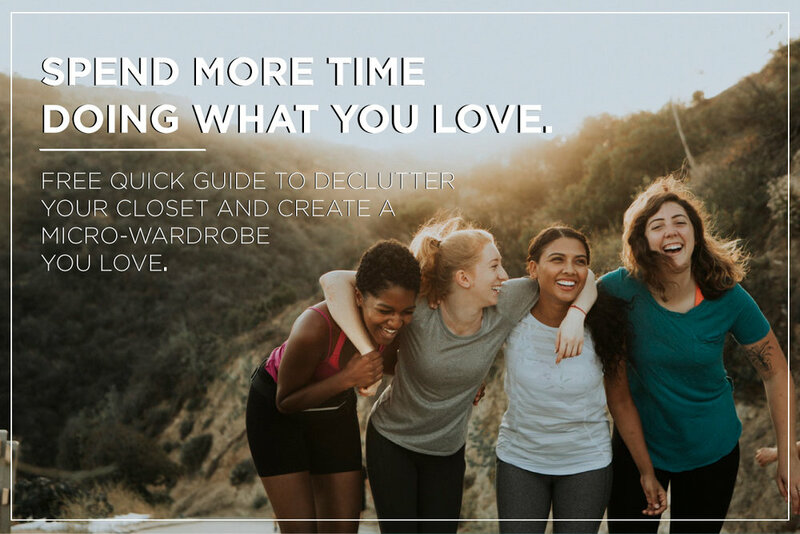 By the end of the 30 day challenge, our goal is you'll feel empowered to create a capsule wardrobe and remove the 80% of the items you rarely wear - for good. After all, with just 15 items, you can create over 180 outfits. When you do shop, we hope you focus on buying quality items that better align to your personal style, instead of relying on the latest 'trends'. Finally, we hope the time you gain from shopping less (because you always feeling like you have something to wear) goes to spending more time on the things that actually make you happy - like spending time with people and enjoying new experiences.